He was a master of painting New York City in the snow. This is Fifth Avenue & 42nd Street. 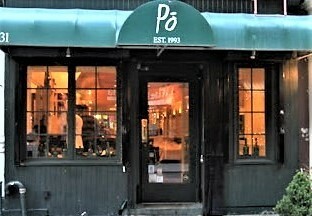 I went looking for Po, an Italian restaurant on Cornelia Street in the West Village. Turns out that it closed more than a year ago. Like hundreds of the city’s small shops and stores, it was forced out of business by a greedy landlord – a 120% increase on the $10,000 monthly rent, the owner told a reporter. The restaurant figures in one of my deepest clearest memories, one in which I can see all the way to the bottom of a dark primordial lake. 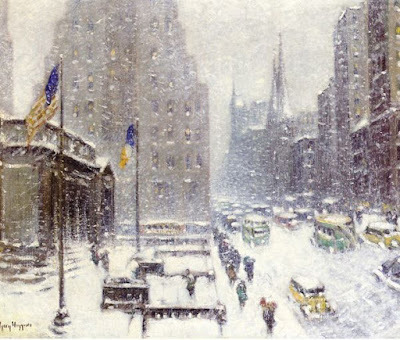 It was a snowy night in February, 2015, as I sat on a Fifth Avenue bus heading downtown to have dinner with a friend. I looked forward to the evening with great anticipation. Traveling by bus through the snow brought my father to mind. One of his favorite essays involved a snowstorm in which the writer also boarded a Fifth Avenue bus that lumbered downtown. Standing up and holding on tight, the writer unexpectedly found joy in the ride. 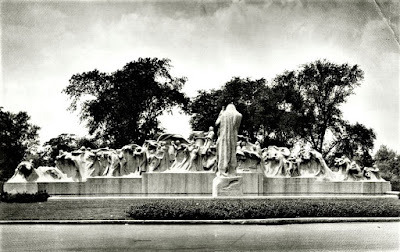 Evidently, in the course of most days he felt slightly mournful, as if time were passing and leaving him behind like a rock being worn away by the wind and tide. Now on the bus, the writer had an epiphany. Time was passing, but it was taking him with it. His perspective changed. Perhaps, he thought, time is a stationary place through which we all move, alone and together. I remembered from college a large statue called “Time” on the campus of the University of Chicago. There was a quotation underneath: Time goes, you say? Ah no! alas, time stays, we go. My 20-year old self had been willing to embrace this maudlin saying by an obscure nineteenth-century poet. But now, not so much. I got off the bus and started to cross Washington Square Park. 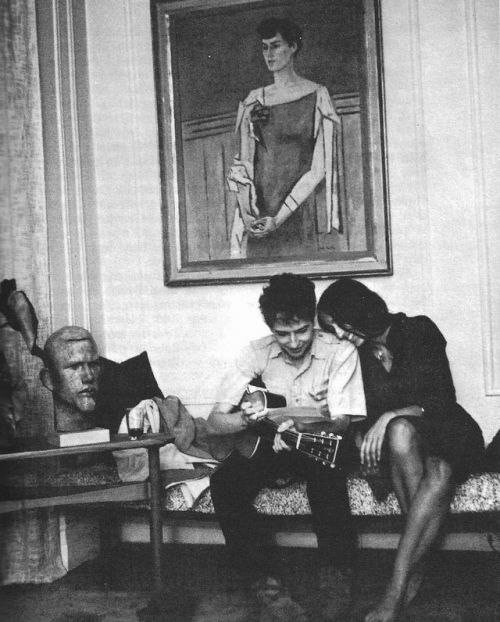 There is a song, Diamonds and Rust, which Joan Baez wrote for Bob Dylan “light years ago,” she once said, after their love affair ended. How stunning to hear those words as a teenager. Now I feel grateful to have experienced such a moment, but at the age of 16 – not fully comprehending and definitely not ready for it. Time to pick up the pace. Around the corner lay dear delightful Cornelia Street, snowflakes drifting under the streetlamps; storefronts drawn by Beatrix Potter. Something happened when I opened the door and stepped in: an extraordinary feeling of well-being. The candlelight shimmered and streamed in every direction. And there was my friend sitting at a far table along the left wall. I had boarded the bus just an hour earlier. Yet it felt like a century had passed, on one hand, and just a few minutes, on the other, during the journey to Po. 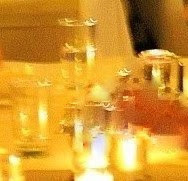 Gratefully, I sat down in the glow. Left-click on images to enlarge them. Oh, I so get this. I do have moments of panic about the passage of time, and the increasing proximity of death, but if I concentrate on acceptance - after all, this is the ultimate inevitability about which resistance is futile - I experience moments of incredible serenity. Everything is fine. My life has turned out fine. I have mountains to be grateful for. And sometimes it's raining outside and the coziness alone is heaven.